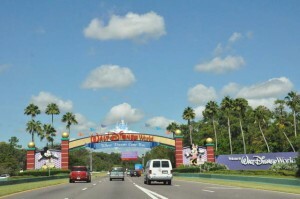 Walt Disney World is easily the planet’s most popular family vacation destination. It’s one of those places you’re obligated to visit at least once, and it’s totally worth it. It’s no secret though, that it can get quite expensive. But it doesn’t have to be. From your mode of transportation, to your accommodations to how you choose to spend while inside the parks, there are plenty of ways to save a significant chunk of change. Our Budget Disney Vacation blog series will take you through the three main expenses of a Disney vacation: the trip, the accommodations, and your time in the park itself. Starting with today’s money saving tips for booking your trip to Florida, we’ll show you how to stretch your dollar the furthest and still have a great time! 1. Choose the right travel option. If you’re visiting from outside of North America, obviously the only choice is to fly. But millions of people from within the U.S and Canada visit Disney World each year, one of which could be you, which means you have a decision to make: do I drive or fly? Depending on where you’re coming from, what you’re driving and who you’re traveling with there can be big budget advantages in choosing one over the other. 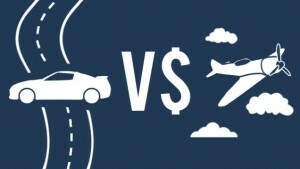 You have to consider the cost of plane tickets, gas and food to see which type of travel comes out the most economical. Luckily, there are calculators out there that will do the job for you, like Be Frugal’s Fly or Drive Calculator! It takes into account your location, vehicle, number of travelers and more to help you decide whether it would be cheaper to fly or drive! 2. If you fly, be thorough in your deal searching. The easiest way to waste money on flights is to buy the first tickets you see online. 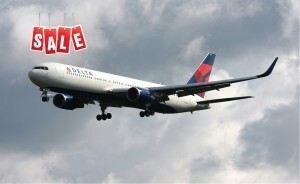 Search high and low for the best airline fares, and be sure to compare between airlines. We recommend signing up for alerts from websites like AirFateWatchDog (include link), a service that sends out cheap flight deals based on whatever home airport you enter in. You can also also maximize your dollar by knowing exactly when to buy. For instance, it’s often much cheaper to fly in the middle of the week than over the weekend. 3. If you’re driving, be prepared. Watch your speed. The faster you go, the thirstier your car gets. We find that staying around 65 mph usually gives the best balance of speed and fuel economy, but of course that will vary depending on what you drive. Skip tolls where possible. A few bucks might not seem like much, but driving through ten of them each way can easily add up. Stock up on snacks before you set off. Of course you’ll want to stop to stretch your legs and maybe for one meal, but if you’re traveling with kids, they’ll want to stop for snacks every couple minutes. Save yourself money and time my packing some healthy, filling snacks for the trip. Get a tune up before you leave. A mid-trip breakdown can result in unforeseen expenses not only in money but in time. Head any issues off at the pass with a quick tune up to the family hauler before hitting the road. That’s it for part one! Next week, you can catch A Budget Disney Vacation Part 2: The Stay, where we’ll go over the best and most affordable options for lodging in Orlando.